The name Mobilities is apparently meant to signify music in flux: open to different styles and modes, often changing dynamics, and willing to follow ideas in unexpected directions. It certainly seems the Portland quartet isn’t doing a bad job living up to the concept. Their first full-length gravitates toward the general realm of alt-grunge, but there’s space under that umbrella for a nice range of other sounds too. 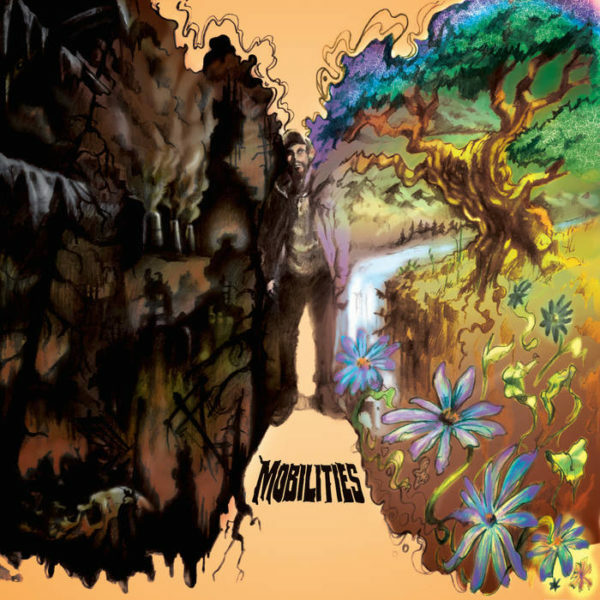 The thoughts aren’t exactly fun, but Mobilities hopes you’ll be banging your head too fast to dwell on it. They enjoy making sudden turns from one track to the next (and sometimes at odd spots during). With “Can’t Sit Still” it’s a shuffling quasi-country rhythm that carries things along; “Another Gross Exaggeration” gets a psychedelic edge from dashes of trippy electric piano; “Light Me Up” gives a funhouse-mirror take on retro sunshine pop together with old-school grunge-rap. This is a band that never loses the raw punch of the rehearsal garage. The vocals are nondescript enough to keep the lyrics and riffs out in front, the recording quality has an unassumingly lo-fi edge, and they don’t mind occasionally leaving the guitars a hair out of tune. If Time Hasn’t Swallowed Us Yet has more rough edges than most debuts, it’s very much in keeping with the feel of the songs: what these guys miss in strict technical sharpness, they balance out with a what-the-hell sense of abandon and surprise. Half the charm would be lost if it all sounded perfectly sharp and slick. As it is, their energetic ambition nicely comes through loud and almost somewhat clear.